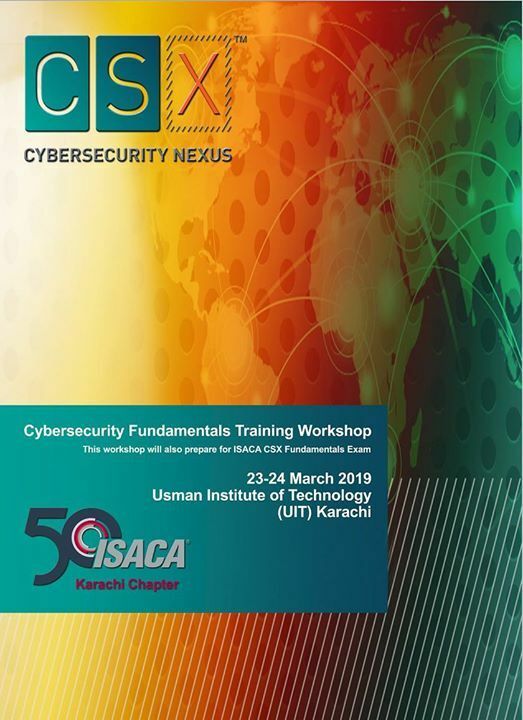 ISACA Karachi Chapter, is conducting a two days workshop on "Cybersecurity Fundamentals Training" on 23-24 March 2019. This workshop will also prepare candidates for ISACA CSX Fundamentals Exam (please note, this is not included - candidates desirous of taking the CSX Exam will need to directly register and pay separately to ISACA). - 4. The security implications of the adoption of Emerging Technologies. ISACA Karachi Chapter offers quality training in a personalised manner with very affordable pricing based on a variety of discount options, including early bird discounts. Rehan is an experienced and award-winning Technology Entrepreneur with more than 12 years of rich and diversified cumulative experience in Information Technology. Rehan is currently Heading Information Technology Department of the leading fashion apparel brand Khaadi where he is leading Khaadi’s Digital Transformation. He is honored with CIO100 and Digital Edge 50 awards for his innovation, operational excellence and business value addition skills. Rehan possesses strong knowledge and expertise in Project and Program Management, IT Governance, IT Security and IT Services Management. Rehan has led the development of multiple large-scale products related to Financial Services and Retail Industry. He is also Board Member of ISACA Karachi Chapter and Chairs the IT Governance and CSX Liaison. He is Pakistan’s first and only ISACA accredited COBIT 5 and Cybersecurity Nexus Trainer. He is also the top scorer worldwide in Certified in Governance of Enterprise IT (CGEIT) exam. He has been delivering workshops related to Project Management, IT Governance, IT Management and Information Security. Please register yourself at https://bit.ly/isaca-khi-csx. 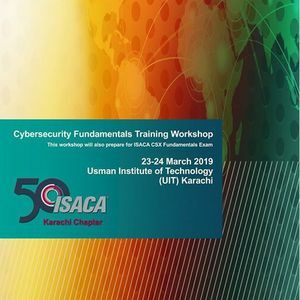 For more information please visit ISACA Karachi Chapter’s website. For our upcoming members’ events, seminars, workshops, and review courses etc like our Facebook page and follow us on Twitter.